“We didn’t know what to expect. I mean, we came into a community that we felt like we understood, but we were also apprehensive enough that we tried to make it super simple and really approachable when we started, and then just slowly evolved as we thought we could,” says Sean Lowenthal, the owner of Little Beast. Even so, the dishes on the early menu were a departure for Eagle Rock’s food scene at the time. The wild salmon tartare starter, a tower of fried, tostada-like gyoza and guacamole, and pan-roasted diver scallops served on a cauliflower puree and drizzled with salsa verde, were both early standouts. The usually perfect scallops are still on the menu, though they now come with shrimp, wild rice, and peppadew purée. 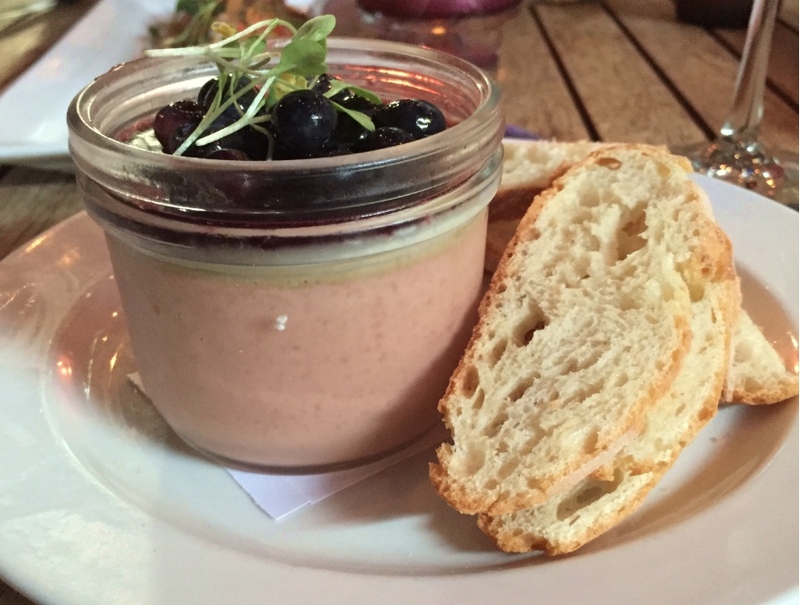 Also transformed is the duck mousse, which used to be served under a blanket of carmelized onions—these days it’s presented in a jar layered with port gelée, blueberries, and sherry gastrique. It’s vastly improved and more luscious than ever. There are also entirely new, relatively experimental dishes that Lowenthal wouldn’t have tried in the early days. The cauliflower coconut soup with curried whipped cream is one of them. Same goes for the slow-roasted octopus with red cabbage, kimchi, and crispy tortilla strips. But, there is still room for standards, too, and the Little Beast burger, dressed with red onion bacon jam and Maytag blue cheese aioli, remains a customer favorite. Perez says the “culinary freedom” that Lowenthal has given him has been invaluable, enabling Perez to keep pushing limits. 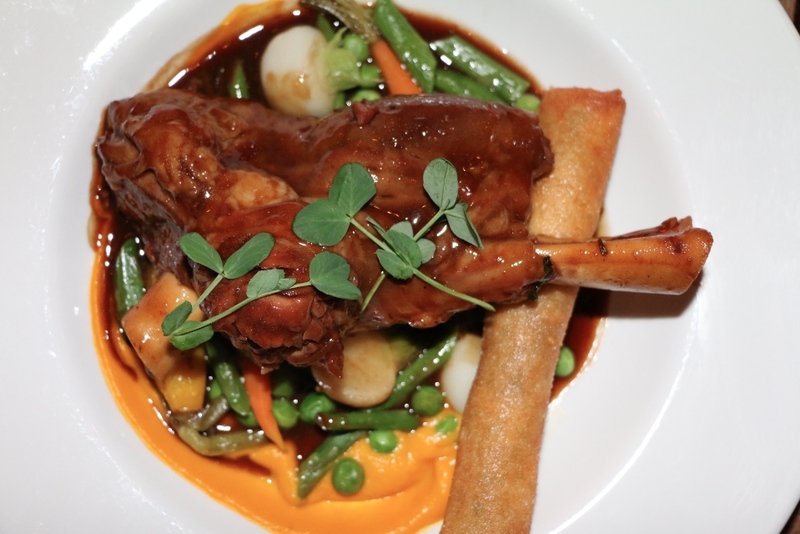 Creating elevated dishes that are still approachable has been a welcomed challenge for him. “Nothing really too fancy or complex. You don’t have to always discover new things. We try to give [guests] an experience that is really friendly even when they’re eating something that took forever to produce,” says Perez with a laugh, adding that the ingredients for the aforementioned octopus take days to come together. With Perez at the helm, Lowenthal is optimistic about the future of Little Beast. The pair plan to move forward with the same ethos that helped shape the restaurant up to this point, part of which is as Lowenthal puts it, being “many different things to many different people.” Ultimately, Little Beast is a neighborhood restaurant, and they want to serve the community that they’re in (offering a kid’s menu is part of that) while also moving forward with their cuisine. Previous articleWould a Female-Run Uber Solve Problems or Cause Them?